Hi Everyone and welcome to week two of Pet Dental Health Awareness month! When I was a little girl, my Aunt Ann was a veterinarian (my hero, the reason I am a vet!). She would say “Pammy, if you keep a dog’s teeth clean and keep them thin, they will live forever!”. So, even though we know they won’t live forever, we know that a healthy mouth absolutely contributes to a longer and healthier life. Last week we talked about BREATH ODOR and that any obnoxious odor needs to be checked by a veterinarian. So, how do I ensure my Charlotte has the cleanest mouth possible? This week I want you to know my favorite products to use to keep teeth clean. My personal favorite, by far, is the Oral-B toothbrush. It rotates and oscillates to give the best cleaning possible. It takes a bit of time and acclimation for most dogs to get used to it, which is why I recommend starting when your dog or cat is YOUNG! If you haven’t started yet, that’s okay, just start now. Use no toothpaste and brush all surfaces of all teeth. How often? Every! Single! Day! I know, I know. I used to say, “brush once a week.” Who can remember to brush once a week? I cannot. So, I brush Charlotte’s teeth every day. By doing this you have the best chance of avoiding the need for full anesthesia dentistry. Charlotte Foster is three years old now. She had a funky breath odor only a few weeks ago (conveniently, right before National Pet Dental Health Month) and I asked one of my brilliant vets to take care of her. She had fibers stuck behind her incisors that I couldn’t see with my naked eye; but as soon as she was under anesthesia, they found the problem. Luckily, I had her checked as soon as I smelled something gross. Had I left her alone for another two weeks I am certain she would have lost several teeth (and have spent several weeks in unnecessary pain). At only 3 years old!!! My second favorite product (a distant second, mind you) for my dog is the Virbac® C.E.T.® Enzymatic Oral Hygiene Care Dog Chews. The magic is that these rawhide chews are impregnated with chlorhexidine, which prevents tartar and calculus formation. My third favorite product are also chews: OraVet Dental Hygiene Chews. They actually coat the teeth with a chemical which prevents tartar from being able to attach to the tooth. OraVet chews have calories, so Charlotte does not get them 😉… Also, very occasionally a dog will vomit after eating an OraVet chew, so let us know if that happens! For a comprehensive list of approved (tested and proven) oral health care products visit www.VOHC.org. Until next week, wishing you all sweet smelling pet breath, . Why, thank you for asking! Because February is National Pet Dental Health Month. I believe that good dental care is the most important thing we can give our four-legged family members! Okay, weight control is the most important, but dental care is absolutely the second most important! You probably have lots of questions about dental care (and may wonder why I feel so passionately about proper pet dental care), so let’s start at the beginning. First of all, no matter the age of your pet and remember this one thing above all: ANY bad mouth odor is BAD. Dogs should have neutral smelling breath. If you wrinkle your nose when you take a whiff of your dog’s mouth, there is very likely a problem. If your dog is a puppy, do not confuse puppy breath with bad breath. Puppies will have some bizarre smells in their mouths as they lose teeth. Bizarre does not necessarily equal BAD. BAD equals BAD. If your dog is an adult, peel back the gums. Look at the tooth/gum juncture. There should be pink (not red) gums and white or cream teeth (not brown, black, or grey). Additionally, the area in between the teeth should be free of calculus (calcified plaque, often called tartar) and debris. Cats should also have minimal breath odor. Cats commonly develop severe gum disease (periodontal disease) that shows up as severely inflamed and red gums right at the gum line and a millimeter or two thick around every single tooth! If you are wondering if your dog or cat needs professional attention, snap a picture of their mouth with the lips pulled back and text it to me at 801-783-7974. I will happily help you decide if home care will be enough or if you need to get your furry companion seen (clients or non-clients alike!). Next week we will talk about how to start a home dental care and which products are worthwhile and which are a waste of money! Until then, leave a comment or question for a future blog. Dogs and cats really do age 7 years to each of our years. Furthermore, large breed pets age much more quickly than their smaller counterparts. 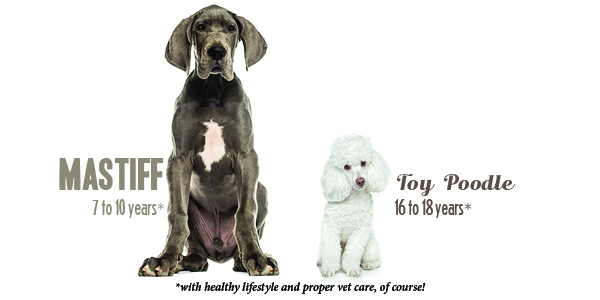 Consider that a Great Dane or a Mastiff has a life expectancy of about 7 years whereas a toy poodle could be expected to live to 16-18 with good veterinary care. Cats live longer when they are kept slim and trim and have healthy regular dental and veterinary care. During the first couple years of a pet’s life, regular veterinary visits at LEAST twice yearly are important. Veterinary visits can make a huge difference in quality of life and length of life by addressing both physical and behavioral problems early on. Veterinarians are trained to watch for normal behavior and development during this formative time in addition to health issues. Euthanasia or relinquishment due to behavioral problems continues to be one of the biggest problems for dogs. Ask your veterinarian rather than Google when you are having a problem you don’t understand. For example, if your pup is urinating in the house, it might be behavioral as well as physical. Your vet can assess whether there is a urinary tract infection versus a behavioral issue that’s causing inappropriate urination. Veterinarians are seeking to be your partner in care for your furry family member. When we see your pup twice yearly from birth (or whenever s/he joined your family) we are more likely to be able to see changes in behavior, weight, etc. Those changes are huge clues to overall health and well-being! The bottom line is that in the early years, twice yearly visits are best. Middle age is a time when certain breeds will begin displaying specific issues. For example, giant breed dogs tend to become overweight from 1-5 years of age (even 5% over ideal weight can exacerbate orthopedic problems like bad knees or bad hips!). Toy breeds develop severe periodontal disease by age two. If your toy breed dog is not being seen twice yearly their teeth are at a great risk for disease, pain, infection and ultimately tooth loss. 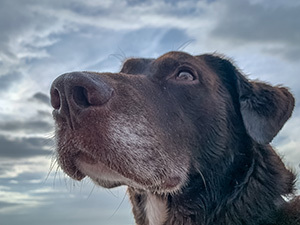 The bottom line for middle aged dogs is that it’s during this period, when your pet seems the healthiest, twice yearly visits are extremely valuable in maintaining that health and increasing the chances for a long (and hopefully pain-free) life! they have such subtle signs and symptoms that even the most vigilant owner will likely not notice. The fact of the matter is that every disease process can be improved dramatically with early intervention. So, as your pet ages, twice yearly exams will usually make a wonderful difference in your pet’s length and quality of life! At the end of your pet’s life, consider more frequent visits. Hospice care is available to help you through the end. Hospice visits range from once monthly to once weekly to ease your pet’s pain. The best part is that hospice care will also help ease your stress as you make difficult decisions regarding your pet’s end of life. Yikes, I hate hearing that! Animal Care Center is a full- service, small-animal veterinary hospital. We mostly care for dogs and cats; but we also care for bunnies, gerbils, a few pet chickens, and even a few mini pigs! It is true, though, that we are heavily focused on dogs and cats and of the two species, we certainly see more dogs. It’s recommended that both cats and dogs be seen for an exam at least once yearly and twice yearly when they hit middle age to senior status. Despite that, only 30% of cats are seen regularly by a veterinarian while recent studies suggest that over 80% of household cats have problems which should be addressed by a veterinarian!? That is a big issue for veterinarians in general, not just the doctors and team at Animal Care Center. If the majority of cats do not get seen by any veterinarian, that means that the majority of cats could easily have some painful—even debilitating—and yet preventable disease process. 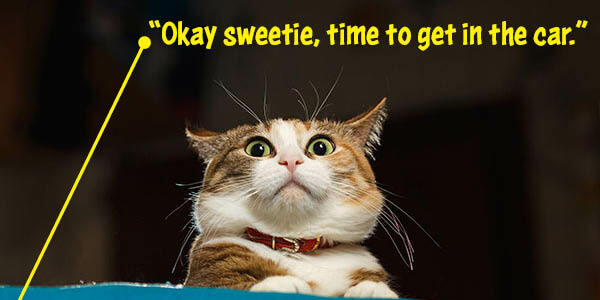 The most common problems for kitties are obesity and dental disease. Also common are kidney problems, arthritis, and diabetes. All of these conditions are potentially painful and life threatening, yet treatable if we can address them early enough. You may be asking yourself WHY?!? Why don’t cat owners take their kitties in as frequently as their dog-owning counterparts? There are several reasons, but the most important is that an unsuspecting owner might not see the need. Cats are HARDWIRED to not show signs of pain; they are masters at deception. An average cat sleeps 20-22 hours a day. Would you notice if your family feline was sleeping an extra hour? Would you notice if they were less “active”? Usually not! Most of the time, when I see a cat with Grade 4 periodontal disease (meaning a very painful, really smelly, infected mouth requiring many tooth extractions) the owners had NO IDEA. Their cat had shown no evidence of pain while eating nor any other changes in behavior despite the fact that they were suffering! Another set of reasons that cat owners are reluctant to bring their fabulous feline to a veterinary hospital is FEAR. 1) Most cats don’t really like to get into a travel crate 2) Even the most fearless felines do not appreciate the magic of the family car. 3) Many an affectionate, friendly feline will become a grouchy man-eating tiger upon entering the veterinary hospital. But FEAR NOT! Animal Care Center is the only “GOLD Certified Feline Friendly” animal hospital in the state of Utah. That means we take many more steps towards ensuring a “good visit” than anyone else. Give us a call at Animal Care Center to find out about the “Feline Friendly” and “Fear Free” techniques that we use with every pet that comes onto our campus. 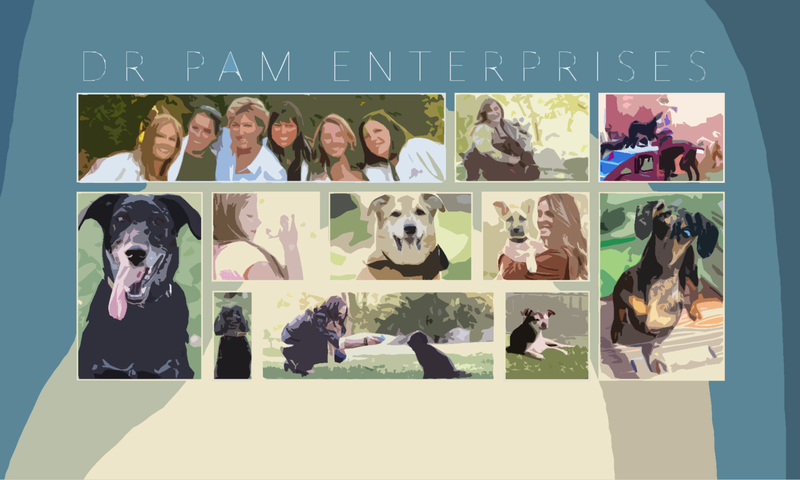 As always, we are here to make good things happen for other people and their pets. QUESTION: WHY ARE MY DOG’S EYES SO CLOUDY? That is a great question. I hear it frequently! The age of your pooch and the circumstances under which you see the cloudiness can provide clues to the reason for your pup’s cloudy eyes. After reading this, remember, early intervention is always the best answer—so call your veterinarian for an appointment if you suspect anything out of the ordinary. Wellness/preventative examinations for Animal Care Center Clients/Patients are an easy (and generally the most cost-effective) way for you to give your pet(s) the healthiest life… for life. Hands down, the most common cause of a cloudy appearance to the eyes is lenticular sclerosis. It occurs as a normal-aging change to the eye; the lens simply thickens with age. It is not painful and does not impair vision excessively. It is most apparent at night when a bright light shines on your pup’s eyes; you might see a slightly cloudy reflection. Otherwise, lenticular sclerosis can be hard to see with just the naked eye. Your veterinarian will confirm lenticular sclerosis with an ophthalmoscopic exam. Another cause of cloudy eyes is cataract formation. 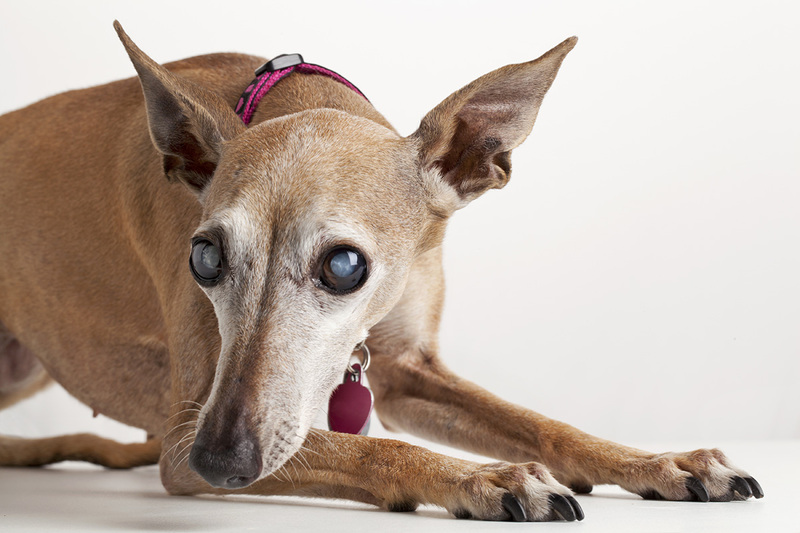 The most common cause of cataract formation is a side effect of uncontrolled blood sugar in a diabetic dog. Any breed and any age of dog can develop diabetes mellitus. The resultant cataract formation that can be dramatic and rapid. If you can see a white, dense looking formation in your dog’s lenses (inside their eye), sometimes with a “Mercedes Benz type symbol” in the center, your dog may have cataracts. Just as in human diabetes variants, worry about diabetes mellitus if your dog is drinking excessive amounts of water or having excessive urination problems. Cataracts can also occur in young dogs and can be identified by an opaque splotch on the lens that partially obscures vision. Blind, due to cataracts, this is an older Italian Greyhound. Looking closely, you can see the “Mercedes-Benz”-type figure in her eyes. Cloudiness can result from thickening of the cornea or the outermost layer of the eye. German Shepherd dogs develop a blinding condition known as Pannus. Pannus is characterized by a migration of blood vessels and pigment from the corners of the eyes towards the center. It will eventually cause complete blindness, although there are treatments which can slow the progression. Bluish opacity of the cornea can occur secondary to glaucoma. Glaucoma is a painful increase in pressure on the inside of the eye; the resultant opacity generally results in blindness. The most important thing to know about your dog’s eyes is that if they are squinty, winky, blinky, or weeping, it is an emergency. Do not wait a day or even hours. Any change that you notice in your dog’s eyes should be acted upon and reported to your veterinarian immediately. 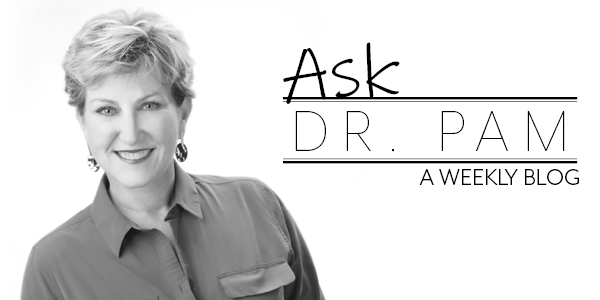 You will hear this frequently if you become a regular reader of “Ask Dr. Pam”: early intervention for almost every disease process is critical to control the progression and seriousness of the situation. If you are uncertain, a telemedicine visit will be the way to get an answer very quickly. Visit www.utahanimalcare.com look for the tab to book an appointment and select “virtual visit”. As always, if Animal Care Center is not your family veterinarian, I recommend that you find a hospital accredited by AAHA, the American Animal Hospital Association. Only 14% of vet clinics and hospitals nationwide seek this voluntary accreditation but the difference within the facility and the way the practice operates will always be apparent! All content © 2019 Dr. Pam Enterprises and its affiliates.